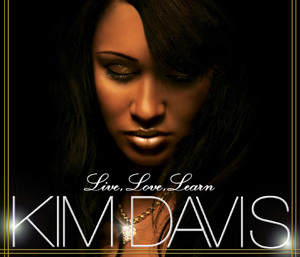 Kim Davis – one of the biggest unsigned r&b artists in Toronto has released her first mixtape “Live, Love, Learn”. It features her bangers “Hush”, “Valentine 4 Life” and her latest track “Live, Love, Learn” as well as some new material. If you have not heard of Kim Davis, well get familar with this singer/songwriter because she is going to cause some serious damage in the music industry. From when Kim first stepped on the scene in Toronto, she has created a lot of noise with her single “Hush” featuring Sizzla – which got plays out in NYC’s HOT 97. I’ve seen her perform a few times, and she is very inspiring live with her amazing voice and very humble spirit. She is a HUSTLER at heart and has inspired women to stay positive through her music. Most recently, “Valentine 4 Life” has been nominated in this year’s 2009 Stylus DJ Awards for Canadian R&B single of the year.